Providing residential real estate valuation services in the Naples, FL area. Located in Naples, Florida, this bank offers both personal and business banking. Provides life insurance and estate planning services in Naples. Wedding, and portrait studio located in Naples. Offers bookkeeping and controllership services. Naples, Florida. Translation in English and Italian. Based in Naples, Italy. Shown are fee structure, services offered, portfolio and contacts. Located in Naples. Striving for quality, and quick turnaround for their clients. Naples. Videoconference public rooms in Tampa, St. Petersburg, Sarasota and Naples, Florida. Design and management of identities, creation and production of collateral material and webdesign. Naples. Directional or administrative engraved signs for any size business or professional organization. Wedding photojournalist using black and white, color and sepia. Naples. Fine art portrait photographer serving the Naples and Ft. Myers Florida area. Specializing in high-end custom homes and luxury condominiums. Located in Naples. Company profile, designer biography, portfolio and contact information. Located in Naples. Suppliers of building materials. Product catalogs, Company information and contact details. Services offered, business profile, portfolio, current projects, FAQ and contact information are shown. Located in Naples. Locations in Vail, Colorado and Naples, Florida. Includes photo gallery, publications, designer profiles and contact information. Offers custom loans to fit individual needs. Features programs, list of agents, career information, loan officer training. Based in Naples. Provides residential financing. Presents loan officers, client testimonials, library, career opportunities. Offices in Ft. Myers and Naples. Offers color printing and direct mail services. Includes on-line ordering and pricing. Based in Naples, Florida, United States. includes general information, airport services, and travel weather. Studio information, client experiences, photo portfolio and business information. Located in Naples. Located between Naples and Fort Myers, Florida. Includes showrooms, hours, event calendar, designer on call and driving directions. bus charter company in naples, florida and pittsburgh, pennsylvania, usa. coaches available for charter or rental. local and long distance. Services include logos, advertising design, creation and printing of color brochures and websites. Offers online portfolio and contact information. Based in Naples.. Provides wedding, portrait, landscape and fashion photography. Specializing in black and white images and hand-colored portraiture. Based in Naples. Illustration and advertising media. Pen and ink architectural renderings, digital logos, print material and website art. Naples, Florida. Provides title insurance and closing services in Southwest Florida. Features company overview, FAQs, employment opportunities, terminology. Located in Naples, FL. A state-chartered commercial bank presently serving Marco Island, Isle of Capri, Naples and other surrounding communities of Collier County, Florida. A community bank providing personal and commercial banking services. Serving the Fort Myers and Naples area of Florida. Offers infusion therapies and respiratory care services to patients in their homes. Information for patients and healthcare providers. Based in Naples, Florida. supplies pressure treated wood, hardware and dock accessories for marine construction and other exterior uses. located in naples, florida and serves sarasota, port charlotte, fort myers, miami, key west and the bahamas. Offers security services in Naples Florida. Offers a variety of shells from around the world. Offers a selection of nautical items and boating accessories. Specializing in gourmet foods including pastas of Naples, condiments, cheeses and various organic products. Includes recipes. Graphics intensive. Features fresh arrangements and gifts with specialization in decor and planning of weddings and events in Naples and surrounding communities. Includes catalogs. Located in Naples in the Sebago Lake Region. Offers a full-service camping experience. Provides map, rules, directions, rates and area attractions. Located amidst the pine forests and crystal clear lakes of the Sebago Lake region. Offers swimming, boating access, site map, rates and reservation information. In Naples. Located in Naples. RV park offers 309 sites with heated pool, whirlpool, shuffleboard, horseshoes, activity hall, planned activities, card room, laundry, general store, LPG, playground, miniature golf and on-site security. Naples, New York. Annual event to celebrate the grape harvest. Includes the Worlds Greatest Grape Pie Contest and the Grape Stompin Contest. Club fixture details and contact details for the Naples Rangers Supports Club. Photographs and pedigrees. Naples, Florida. In a variety of colors, both pet and show quality, located in Naples. Includes program information, location, contacts, and links. Specializing in the treatment of eating disorders and chemical dependency. Dr Kent provides details of procedures and staff at his clinic. Florida event with proceeds to help fund research and support. Includes BSA program information, location, contacts, and links. Includes information on activities, meetings, how to join, and current unit news. Frequently asked questions, kennel goals, and photographs. Naples, Florida. Ronald Steriti, ND, PhD, offers consultation by phone and home visits in Naples, Florida. Breed history, photographs, pedigrees and related information. English and Italian. Naples, Italy. News, picture sof their facilities, photographs and pedigrees of their dogs, and litter announcements. Naples. About staff, program, schedule, packages, and location with solutions tailored to the individual. RV Park and vacation rentals. Offering many amenities and information, as well as photos and links to local activities. Offering breast enhancement surgery using the revolutionary transumbilical (through-the-belly-button) method. 50,000 sqare feet, aerobics, free weights, personal training, spinning, swimming pool. Stallions at stud, and offering information about the breed and stock for sale. Naples, Florida. Located in Naples. Tumbling, cheerleading, and dance facility provides photos, schedule, pricing, and program description. Breeding for the show ring and the lure coursing fields. Photographs of their dogs and puppies, news, and links. Naples, New York. Group and private lessons for beginners and experienced riders, in Florida. Course descriptions, schedules, and registration information. William and Emalee Brock, practitioners, specialize in massage and bodywork located in Naples, Florida. Annual two-day event featuring California wines and an auction by Sothebys to benefit local childrens charities. Veterinary medicine, boarding, and grooming. Online tour, staff profiles, articles, and pictures of adoptable animals. Naples based company offering two 26 foot open motor boats for fishing and tours. Details of the vessels, rates and available trips. Field trips, local birding hot spots, where to find specialty birds, count results, forum, photos, and links. A traditional sports oriented camp for boys located in Naples. Offers training and healing sessions in Naples, Florida. Stands black tobiano stallion at stud. Includes sales list, photos, and profiles of horses. Located in Naples, Florida. Information on a clinic which specializies in the treatment of eating disorders and chemical dependency, details on in and out-patient services, programs, employment, and a chat room. Allergy resources provided by Brett E. Stanaland, M.D. Practice in Naples, Florida. Oriental therapies for prevention, diagnosis and treatment of physical, mental and emotional health issues. John E. Patton, Director. Naples, Florida. Childrens residential summer camp located in the town of Naples. Information provided for all staff, campers, and parents. Located in Naples. Offers pregnancy testing, peer counseling, and maternity and baby supplies. Produces a range of reds and whites, and also offers gourmet food products and gifts. Includes product descriptions and online ordering. Located in Naples. Hormone replacement therapy, including growth hormone, estrogen, progesterone, testosterone, DHEA, and melatonin. Located in Florida. Guide to golfing in southwest Florida. Features course listing, packages, pro tips, and links of local interest including accommodations, shopping, weather, attractions, dining, and events. Located amidst the pine forests and crystal clear lakes of the Sebago Lake region. Offers swimming, boating access, site map, rates and reservation information. Cosmetic surgery and body contouring in Florida. Procedures include breast augmentation, tummy tuck, laser resurfacing and skin care. Dr. Richard Maloney specializes in facial cosmetic and plastic surgery in Naples. Comprehensive procedure information, before and after photos and computer imaging techniques. Naples golf club, tennis resort, and country club offering two challenging courses. Florida physicians practice offering information on interventional pain management. Locations in Naples and Fort Myers. Information on psychoneuroimmunology (pni) and applied psychoimmunology. Based in Naples, Florida. Sports-oriented camp for boys ages 7 to 15 located in Naples. Traditional field and water sports, as well as lacrosse, golf, tennis, and hockey. Teaches Wado-Ryu, Shintoyoshinkai Jiu-Jitsu, and Brazilian Jiu-Jitsu in Naples, Florida. Includes instructor profiles, schedule, news, and related links. The FLASH3 runs in and around Naples, Florida on the first and third Saturdays of the month. Founded 2 Nov 1996. Schedules, contacts, pictures, and Hash Trash. Girls camp located on Sebago Lake in Naples. Activities include landsports, watersports, arts and crafts, trips, nature, and horseback riding. Site offers camper information, photos, and what a typical day is like. Specializing in minimally invasive arthroscopic surgery, sports medicine, shoulder and rotator cuff problems, trauma, and total joint replacements. Located in Naples. Overs full hook up sites, large heated pool, level shaded sites and planned activities. Located in Naples. Posts rates, map, photos and activities. Olde Cypress is a private exclusive 18-hole championship golf community located in Naples. Provides information, updates, history, and descriptions for Christian Science camps, Newfound for Girls, and Owatonna for Boys. Camps are located in Naples. Information about swamp buggy racing in Naples and Fellsmere, Florida. Based in Naples. Provides codes and prevention details for county fire departments. Includes articles, a list of departments in the county, and contact details. Offers optimization, submission and tracking. Naples, Florida. Tutorials, software reviews, links, and membership information. Information on Internet consultation and services, domain name registration, site design, hosting, e-mail, e-commerce, marketing etc. Offers site design and maintenance. Located in Naples, Florida. Design, Flash, ASP, portals, e-commerce, content management, database development, and Windows-based hosting. Located in Naples, Florida, United States. INTEL-based desktop computers with a personal touch. Offers classes and on-site setup. Based in Naples, Florida. 160 Calvary Chapel of Naples Naples, Florida. Regular schedule of services and activities and contact information. court reporters in naples. list of services, contacts. assisting with uncontested divorce from offices in naples. naples firm focusing on intellectual property. u.s. immigration law services from offices in naples and orlando. estate and financial planning. located in naples. Includes meeting schedule and contact information. A brief tribute to St. Januarius (San Gennaro). wedding officiant serving naples, ft. myers, sanibel and captiva. a naples practice that includes special education law representation on behalf of students. immigration attorney and consultant with offices in naples. fluent in german. legal practice, based in naples, providing estate planning services. naples attorney practicing in the areas of personal injury, workers compensation and medical malpractice. emphasizing personal injury and medical malpractice from offices in hollywood, naples, and miami beach. A web developer from Naples, Florida, USA. Includes a collage of photos and picture archive, portfolio of his artwork, a blog, and a resume. naples attorney offering services for civil litigation, real estate, criminal defense, and personal injury. naples firm focusing on real estate, general business, finance, corporate law, litigation and mediation. services include investigations, security management, litigation support, and police consulting. based in naples, florida. general practice with offices in naples and boca raton. Naples, Florida (nondenominational). Location, service times, contact details, information on ministries and missions, events, and links. estate planning, probate, elder law, business law and real estate law, special needs trusts and marital agreements. located in naples. Kinship of John OFallon from Naples, FL USA. offering court reporting services, with conference rooms in naples and fort myers. on-line scheduling, list of services. Serving the southwest Florida coast. Includes chapter information, calendar of events, foundations, meeting times and locations, and an officers list with contact information. Combination buffet restaurant and regional theater in Naples, Fl. Shows, rates and location. Principal cellist of the Naples Philharmonic Orchestra in Naples, Florida, performer of orchestral, chamber and solo works for cello. Contains a schedule of upcoming performances, repertoire, photographs, biography and audio samples. naples, fl gallery featuring decorative contemporary french art. Independent production company based in Naples, Italy, producing broadcast and corporate documentaries. Cast and crew, photos, and press about the production in Naples, Florida, USA. Vintage mandolins including Calace, Vinaccia and Embergher. Restorations by luthier Carlo Mazzaccara, site includes photos and prices. Naples, Italy. biography noting his operatic emphasis, directorship of the naples conservatory, and mixed acceptance of his works from the grove concise dictionary of music entry at wqxr radio. naples, fl gallery presenting original works by various emerging, mid-career, and established artist, featuring oils, acrylic and mixed media works. SiteBook Naples City Portrait of Naples in Idaho. 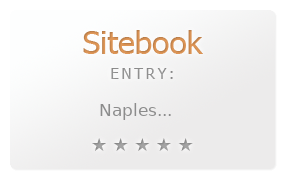 This Topic site Naples got a rating of 4 SiteBook.org Points according to the views of this profile site.